A Massachusetts husband and wife have been identified as two swimmers who died following a struggle in strong rip currents in Seabrook, New Hampshire on Sunday. Forty-seven-year-old Laura Cote, of Methuen, Massachusetts, died Monday after being hospitalized with life-threatening injuries. 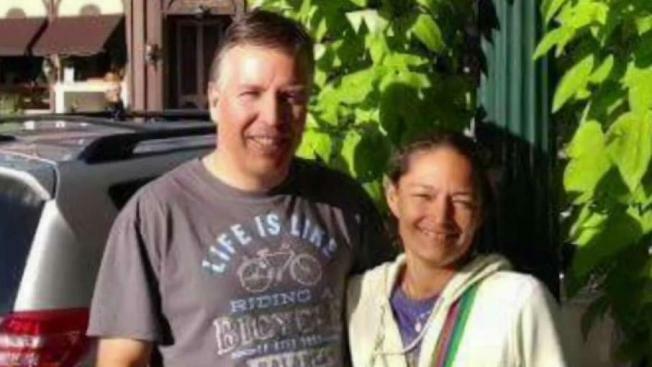 Her husband, 49-year-old Michael Cote, died Sunday. "We are deeply saddened to have learned last night and today that Michael and Laura Cote, both truly devoted followers of Christ, have passed away following the swimming incident at Seabrook, New Hampshire," read a statement from Maher on Facebook. "They did so much to come to know Jesus and His and our Father in this life that they are truly going to meet a Friend." 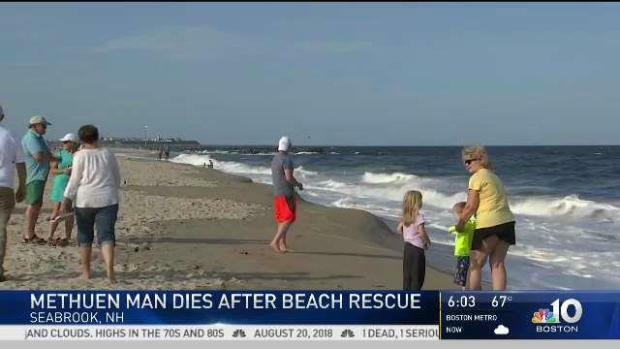 A second person has died following Sunday's rip current rescue in Seabrook, New Hampshire, family members tell NBC10 Boston and necn. Father Maher told NBC10 Boston the couple was deeply involved in the church. "They were involved in parish activities, feeding the homeless," said Maher. The Cote's neighbor, Jerry August, told NBC10 Boston he saw them packing for their weekend getaway. He said the couple was generous and always available to help. "You couldn’t ask for better people and better neighbors," August said. Neighbor Jairo Naranjo said the Cote's did not have children of their own but would always have plenty of treats on Halloween for the neighborhood kids. "We have three kids and we usually go trick or treating," Naranjo said. "They're going to be missed." 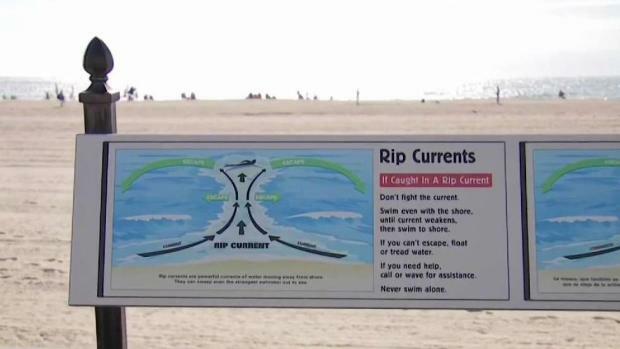 A Boston man went to the aid of several distressed swimmers who were swept by a rip current but unfortunately, one did not make it. State police dispatch had received calls regarding multiple swimmers in distress in the waters off of Seabrook Beach at about 12:30 p.m. Sunday. 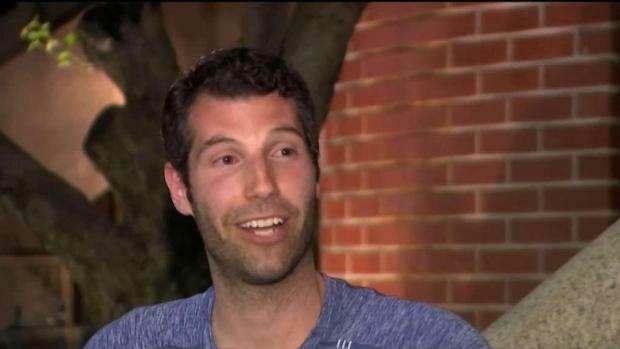 Good Samaritan Matthew Tomaszewski is one of a few who helped the swimmers. Acting quickly, Tomaszewski raced into the waters with his paddle board and fought against the powerful waves. "It looked like there were some people caught up in a really bad undertow and riptide," Tomaszewski told NBC10 Boston. Cote's wife, Laura, who was also found unconscious, was also taken to Portsmouth Regional Hospital with life-threatening injuries. She died on Monday. "I'm glad I was able to help any way I could," Tomaszewski said Sunday evening. "My heart and prayers go out to those families affected." Matthew Tomaszewski says he looked out into the ocean from his porch and knew he had to act fact. Choppy waters caused by rip currents are believed to have caused the incident. Officials say the surf on Monday is expected to be calmer, but warn swimmers to always take precautions, including swimming near lifeguards. "The presence of the lifeguard definitely makes things more comforting when you're here," Derry resident Paula Roddy said. Cassandra Burns was also visiting Hampton Beach on Monday. "I can't imagine how those people felt, it must have been terrifying," she said. Rip currents usually form in low spots on a beach, near breaks in a sandbar or around piers and jetties. Click here to learn more about rip currents and what to do if someone is caught in one. Father Maher said while the Cote's spent hours praying for others, he says the time is for the community to pray for them. "Their family obviously needs a lot of support," Maher said.